Zero Motorcycles announced it achieved the highest overall results in an independent study conducted by Pike Research. The study, called the Pike Pulse Report, evaluated the competitive landscape of both the electric motorcycle and electric scooter markets and named only one company as the overall leader. The study was based on 12 distinct categories that measured an Original Equipment Manufacturers’ (OEM) ability to compete on a global level. Zero Motorcycles scored higher than many notable names, including Honda and KTM. The following is an excerpt taken from the Pike Pulse Report – Zero Motorcycle achieved the highest ranking in this Pike Pulse Report with a combination of strong strategic planning and great execution of those plans. The company’s product lineup is well suited to the less cost-conscious early adopter market. 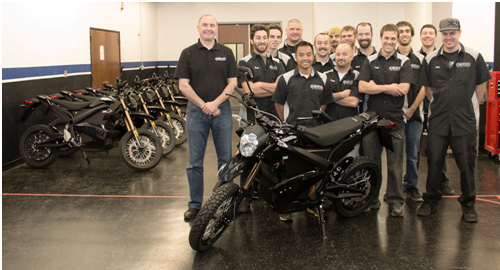 Zero is also pursuing a specialty market for the e-motorcycles (off-road and fleet applications). In addition, the company has put together a strong management team and continues to build a strong dealer network in the key regions of Western Europe, Asia Pacific, Latin America and North America. All of these factors have provided Zero with strong momentum leading into 2012. The Zero S, a street fighter, and Zero DS, a dual sport, are both available in a 6 or 9 kWh configuration. As measured by the EPA UDDS, the Zero S is capable of respectively achieving 76 or 114 miles on a single charge. Both motorcycles offer a higher top speed, with the Zero DS hitting 80 mph and the Zero S topping out at 88 mph. Both motorcycles offer a broad torque band and stealthy acceleration from 0 rpm that makes them incredibly fun to ride. In addition, all the street models, including the Zero XU, feature new brushless motors and regenerative braking that allow riders to recoup energy during deceleration. The Zero XU, a motorcycle designed for inner city riding, now uses the same maintenance-free belt drive system as the Zero S and Zero DS. Brushless air-cooled motors, life of motorcycle power packs and belt drive systems make Zero’s lineup of street models just about the world’s easiest-to-own form of transportation. Zero’s new Z-Force power pack uses a completely new battery cell chemistry and configuration that is up to 95 percent more energy dense and is rated to 3,000 complete charge cycles before hitting 80 percent capacity. This means that a Zero S could travel as much as 308,000 miles on its original power pack. All of Zero’s on and off-road motorcycles leverage the new technology, meaning that the power pack is designed to exceed the longevity expected of any conventional motorcycle. The result is a complete electric motorcycle line that offers owners exhilarating rides while saving on gas and virtually all-routine powertrain maintenance. The same is true for the all new Zero X and MX. Improvements in styling, performance and range make both of these off-road oriented models a dream to own and operate. With almost three times the range of previous Zero X and MX models, and with substantially more power on tap, these electric dirt motorcycles take off-road riding to an all new level. New Head of Design for BMW Motorrad. 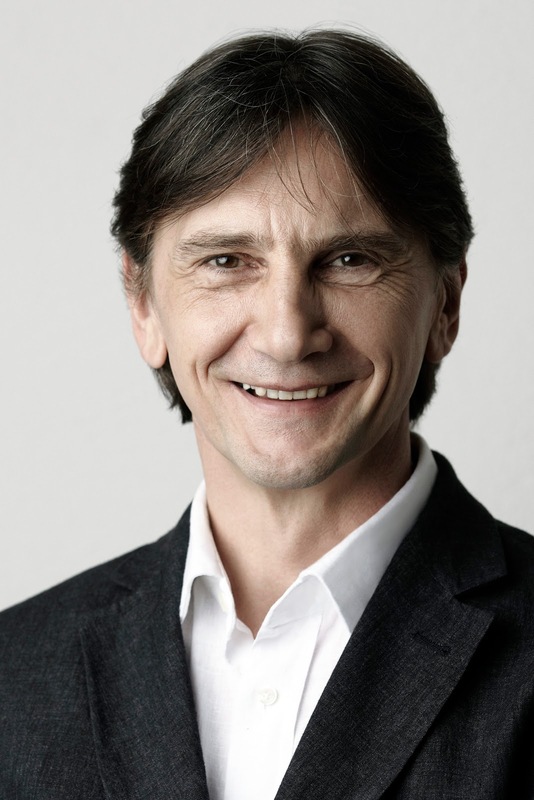 Successor to David Robb (Canadian) at BMW Group BMW Motorrad Design Studio has been named. Edgar Heinrich (53) will be taking over the BMW Group's BMW Motorrad Design Studio as of July 1st 2012. He succeeds David Robb. After completing his university degree in design, Edgar Heinrich started his career as a motorcycle designer with BMW back in 1986. Within the BMW Group’s BMW Motorrad Design Studio he was Head of Vehicle Design Motorcycles under the overall direction of David Robb from 2007 to 2009. In July 2009 his career took him to India. As Vice President Product Design with the Indian vehicle manufacturer Bajaj Auto LTD he currently heads up the styling and model studio, responsible for brand definition and brand strategies for two-wheel and four-wheel design. During his time with BMW Motorrad, Edgar Heinrich was responsible for such vehicles as the first 4-valve boxer models R 1100 RS and RT, the K 1200 S and R, the HP Megamoto and the victorious Paris-Dakar racing machines. The successful R 1150 GS and R 1200 GS were also created on his drawing board. Under his direction, the motorcycle design team created the S 1000 RR, the F 800 / 650 series, the G 450 X and also the BMW Custom Concept study. Heinrich was even involved at the start of the design development of the 6‑cylinder touring bikes and the new maxi-scooters. Motorcycles take up a large part of his leisure time, too. His passions include modifying sports bikes, restoring and collecting vintage models and in particular riding motorcycles himself - both on and off the road. As Edgar Heinrich himself says: "I am very pleased to be returning to BMW Motorrad and having the great opportunity to be involved in shaping the two-wheel future of the BMW Group with an outstanding team." "Edgar Heinrich is an excellent motorcycle designer and passionate motorcyclist who has already made key contributions to BMW Motorrad design in the course of his many years of experience. I very much look forward to collaborating with him to take BMW Motorrad design to ongoing success in the future," said Adrian van Hooydonk, Senior Vice President BMW Group Design. David Robb (56), the previous head of the BMW Group Motorcycle Design Studio, has left the company. He was in charge of BMW Motorrad design for 18 years. Under his leadership, the design team elaborated the development of the BMW Motorrad product portfolio from three to a current total of six model lines, as well as creating the extensive product range of BMW Motorrad rider equipment and motorcycle accessories. The first motorcycle designed under David Robb's direction was the BMW K 1200 RS. This was followed by such models as the first BMW cruiser R 1200 C, the innovative K series with transversely mounted 4-cylinder engine, the F series with 2-cylinder parallel twin and the most successful BMW motorcycle of all time, the travel enduro R 1200 GS. The design concept of the latter is regarded to this day as the benchmark in the category of big enduro bikes. Recently there were additional highlights such as the BMW motorcycles with in-line 6-cylinder engine, the K 1600 GT/GTL, and the BMW superbike S 1000 RR. The first BMW maxi-scooters C 600 Sport and C 650 GT only recently saw their world premiere in autumn 2011. Adrian van Hooydonk, Senior Vice President BMW Group Design: "I would like to thank David Robb for his many years of successful work and wish him all the very best for the future." Indiana-based Four Feathers Racing’s team principal Scotty Van Hawk has signed on to mentor and provide race strategy support to BYR / Fogi Racing’s development rider Ben Young for his debut at America’s most historic motorcycle event, the Daytona 200. 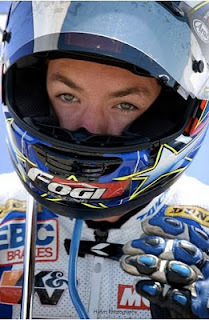 Young, aboard his Tim Hortons-Sudbury/Yamaha R6 will take to the legendary Daytona International Speedway on March 15-17th 2012. Toyota/Lucas Oil backed Four Feathers Racing (4FR) has a long history at the historic venue contesting their first Daytona 200 in 1997. In the past fifteen years 4FR has experienced nearly all that can happen on the high banks earning many respectable finishes through hard work and persistence. Young, who resides in Thornbury Ontario Canada, will be shown the ropes of the Daytona 200 event by 4FR’s owner and founder Scotty Van Hawk. Van Hawk is no stranger to the Daytona circuit as he has raced there numerous times himself and has assisted other notable riders over the years such as 2007 Daytona 200 winner Steve Rapp and 2012 World SuperSport rookie Josh Day. Van Hawk met the eighteen year old Scottish/Canadian rider last year at Mid Ohio and was able to spend some time with him and his family at the AMA RRGC. Mutual friend and sponsor, Geoff Maloney of GP Tech was instrumental in facilitating the relationship. Since then Fogi Racing’s Team Manager Scott Young and Van Hawk have kept in touch and the idea of Toyota/Lucas Oil backed 4FR assisting Young at Daytona and hopefully beyond became evident as both 4FR and Fogi Racing Development Team are striving to achieve the same goals; to cultivate future champions. "We like to surround ourselves with good people and the Youngs are just that, a family team with ethics and morals. They run a good program and provide quality representation to their team partners.” said Van Hawk. “We are excited to work with Ben and we know it will be a potent partnership." Van Hawk concluded. North American Dealers scheduled to receive first shipment of 2012 Zero DS models in January. Zero motorcycles recently celebrated the start of production of its ground breaking 2012 model line with the rollout of its first new 2012 Zero DS. Management and staff greeted the arrival of the stunning new Zero DS motorcycle on Dec. 15, 2011 (it was an early Christmas present) with applause and excitement. Additionally, Zero Motorcycles announces that the entire product line is in full production and dealers and consumers alike can expect to see the motorcycles hitting the marketplace throughout the first quarter of 2012. Zero recently debuted the all-new 2012 product line to a very positive response this past November at the 2011 EICMA Motorcycle Show in Milan, Italy. Zero’s new Z-Force power pack uses a completely new battery cell chemistry and configuration that is up to 95 percent more energy dense and is rated to 3,000 complete charge cycles before hitting 80 percent capacity. This means that a Zero S could travel as much as 308,000 miles on its original power pack. All of Zero’s on and off-road motorcycles leverage the new technology, meaning that the power pack is designed to exceed the longevity expected of any conventional motorcycle. The result is a complete electric motorcycle line that offers owners exhilarating rides while saving on gas and virtually all-routine powertrain maintenance. The same is true for the all new Zero X and MX. Improvements in styling, performance and range make both of these off-road oriented models a dream to own and operate. With almost three times the range of previous Zero X and MX models, and with substantially more power on tap, these electric dirt motorcycles take off-road riding to an all new level. Just in case you forgot or maybe you've never ridden a motocross bike - they're wicked fun. Not sure? Watch this Husqvarna video and your mind will be made up. I don't know about you but the sound of a two-stoke flips a switch in my brain that says "Hell Yeah!" Add a leg out turn through a berm, rooster tail of dirt, real wheel sliding out and well I'm wondering why I'm sitting here at a computer and not out riding. Oh yeah, it's winter. Arghhh. Time to get your motorcycle ready for another season of racing! Some exciting news for Canadian Enduro racing fans! The team at the Canadian Enduro Championship are very close to finalizing all the details for the 2012 Canadian Championship season. We are pleased welcome back many of our previous sponsors and some new ones – this series could not happen with out the strong support of companies like Royal Distributing, Yamaha, KTM, and Honda! We look forward to the return of many of the fastest off road racers in Canada. Lots of questions will be answered. Will KTM’s Bobby Prochnau be able to continue his dominance now that he has a full plate of racing in the US? Is this the year KTM’s Geoff Nelson or maybe Husaberg’s Ben Rego unseats him? Will Honda’s Jason Schrage bounce back from his back luck in Quebec last season to regain the #1 plate he held last season? Is this the year that Yamaha’s Brian Wojnarowski moves to the top of the podium? Which riders will move up from the amateur ranks to the Pro level? The series will begin at an all new location in Vernon, BC on July 7 & 8 hosted by the Vernon Off Road Motorcycle Club. Pre-registration is already open! After BC the series moves to scenic Blairmore, AB on July 14 & 15th. Clint’s Full Gas crew is planning some great new mountain trails to entertain and challenge everyone! The event will be taking place on the same weekend as the Thunder in the valley fireworks show so hotel space is very limited. I happen to know that as of today there are a few rooms at the Coleman & Blairmore Best Canadian Motor Inn so if your planning to attend and need a room CALL RIGHT away as the next closest hotel is 40 minutes away in Pincher Creek. Coleman 403-563-5600 Blairmore 403-562-8851. The series moves to the east in September. Big news for 2012 is our partnership with the FMSQ who will be hosting the Quebec round at a new location! We are working with the FMSQ and our Ontario crew to finalize the best dates and locations which will be announced in February. Please keep an eye on our site www.worldendurocanada.com for more details – we will be updating it regularly in the next few months with both our National and regional event news. 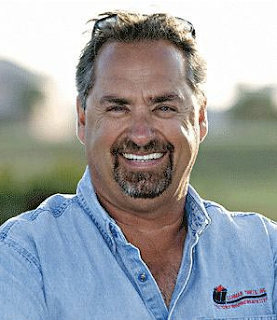 Canadian coffee icon Tim Hortons (Sudbury) will be Ben Young Racing / Fogi Racing’s Title Sponsor for the first race of the AMA Pro Road Racing 2012 season as well as the prestigious Daytona 200, which will be held at the legendary Daytona International Raceway, Daytona Beach. Florida, USA, March 15 - 17th 2012. 18 year old Ben Young from Thornbury ON, competing in the AMA Pro GoPro Daytona SportBike class under the Fogi Racing Development Team banner, is extremely proud to be partnered with Tim Hortons Sudbury franchisee Gilles Bolduc. Bolduc, a former Canadian Superbike road racer himself, saw this as an opportunity to promote one of North America's largest quick service restaurant chains through a sport he personally has a passion for and a young Scottish-Canadian rider that he feels has a tremendous future ahead of him. For more information about Tim Hortons please visit www.timhortons.com and to keep up-to-date on the Ben Young Racing and the Fogi Racing Development Team, please visit www.fogi.us, facebook.com/BenYoungRacing and on Twitter @86BY. Ben Young Racing and the Fogi Racing Development Team would also like to acknowledge the following companies for their support this season; Arai Helmets, Scot-build Developments, GPTech LLC, K&N Filters, EBC Brakes, Arlen Ness Racing boots, Armour Bodies, BCL Motorsports Pit Kit, Vortex Racing, RS Taichi Leathers and The North American International Motorcycle SUPERSHOW. Yamaha Motor Canada is expanding its popular ‘Win a Factory Ride’ award to three of the biggest amateur motocross events in Canada! 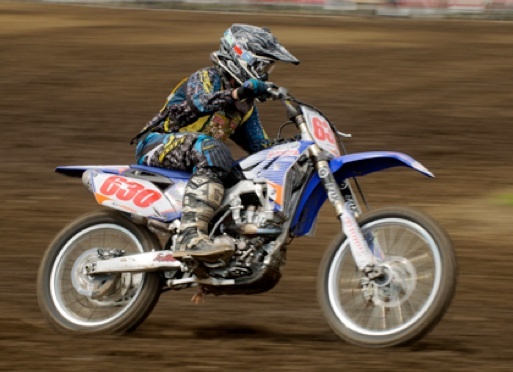 At the 2011 Parts Canada Walton TransCan, RJ Marnoch accumulated the most points of any amateur Yamaha rider. For his efforts, RJ has been awarded the use of a YZ of his choice and a $2500 parts credit for the 2012 race season. - Contest open only to amateur riders. - Your Yamaha must be a Canadian purchased unit. - Rider cannot be an employee of Yamaha Motor Canada or one of its dealerships. On top of the ‘Factory Ride’ award, Yamaha will continue with their ‘Yamabucks For You’ campaign for the Walton, Raymond and Deschambault events. The top 3 Yamaha riders in each class will collect $75, $50 and $25 in Yamabucks, no matter their finishing position. Motomethod Community Motorcycle Repair Shop in Vancouver, BC is a full repair shop, for nearly all makes and models of motorcycles, old or new. Nothing too earth shattering in that news but there's more. What's a little different about Motomethod is that they allow the rider to come in and ‘rent a bay’ and repair their own bike, or learn how. All their tools are available to those who come into the shop and if you need a hand fixing something - they're there to lend a hand. If you want them to do the work but keep a close eye on the work and perhaps learn a thing a two; you've got it. Get right in there and check it out. The Zenga Bros. video does a fantastic job of building excitement for the idea and wanting to check out their shop. You couldn't get any better advertising than this in my opinion. Nice idea. Wonder how expensive THAT insurance is? US based inventor Peter Olt has been a motorcyclist for more than 30 years and he's come up with a pretty interesting invention that he refers to as the Banshee Horn. Basically, the Banshee Horn gives you the option of giving people a blast of a 135 decibel alternating horn and high beam headlights. You can still use your normal horn but holding down the horn button for either 1/4 or 1/2 a second activates the Banshee Horn circuitry. His invention is posted on KickStarter which is an online invention promotion and funding site. Based on the information there his product is a go! It can still be had at a discounted price for a few more days so watch the video below and if you think it's a good idea better get yourself one fast before the price goes up! I know there's at least a few times when I wouldn't have minded having the extra conspicuity this horn and lighting combination would provide. BMW K 1600 GT is voted "International Bike Of The Year 2011"
The BMW K 1600 GT is voted "International Bike Of The Year 2011”. The BMW K 1600 GT gets the top vote of the international motorcycle press jury at the Brussels Motor Show. 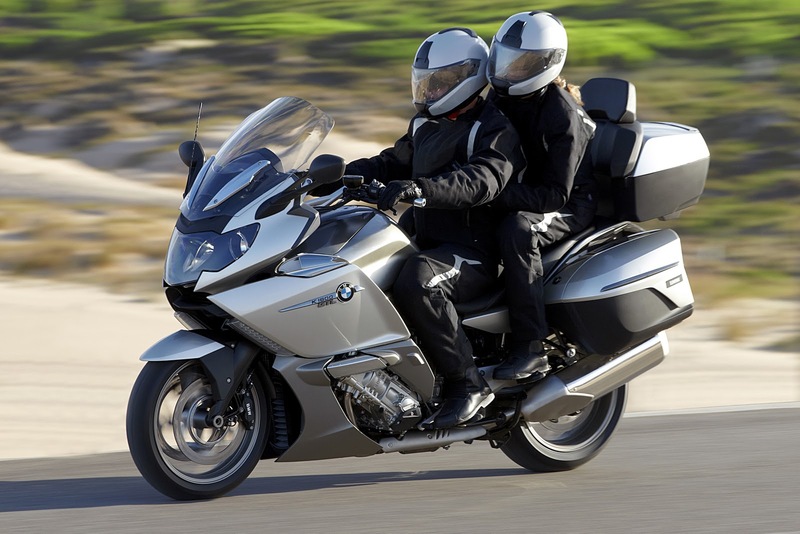 The BMW K 1600 GT has won the vote for the “International Bike Of The Year 2011 (IBOTY)" award. This was announced at a press conference given by the Belgian motorcycle magazine Motor Wereld at the Brussels Motor Show. The award for the K 1600 GT comes from an international jury representing 25 motorcycle magazines. The K 1600 GT convinced the motorcycle journalists with its unique combination of comfort, performance and use of innovative technologies. The powerful in-line 6-cylinder engine was said to offer power, refinement and lots of fun. The bike's sophisticated technology - in addition to ABS, traction control and navigation system, an adaptive headlight and electronically controlled suspension with various modes increase active riding safety - makes the K 1600 GT an incomparable touring motorcycle. On the road, the outstanding qualities of the K 1600 GT are its agile chassis and unusually light handling. All this gives the rider a unique riding experience, according to the jury, impressing the most demanding touring and sports motorcyclists. The K 1600 GTL was rated separately and also convinced the jury, finishing fourth, while the S 1000 RR followed it in fifth place alongside the Kawasaki ZX-10R. With three models in the top five places, the BMW Motorrad put in a highly impressive showing overall. 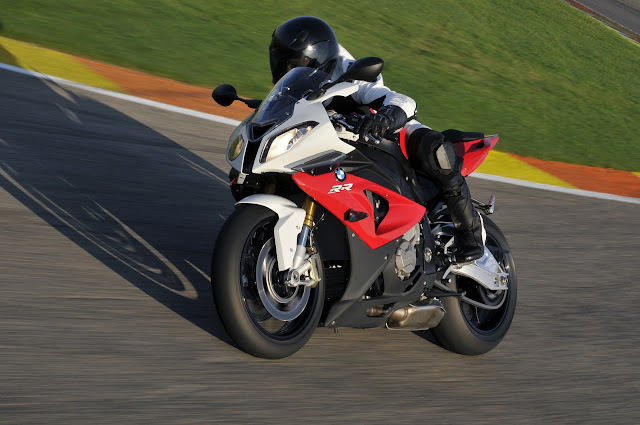 BMW Motorrad also won the highest rating in 2010 with the S 1000 RR. Italian motorcycle magazine Motociclismo apparently scored an opportunity to dyno a pre-production Ducati 1199 Panigale. Unfortunately there's no horsepower numbers to accompany it. That information won't likely come out until the bikes launch in February. For now though it's enough just to hear the Panigale at full throttle. It sounds pretty impressive to say the least and damn it's a fine looking bike too! Four out of five riders reached the finish in Lima. This debut result is highly encouraging for the team and the Husqvarna brand, as the new bike proved its worthiness right away - completing the race without a single technical failure. The highlights were six podium finishes and one stage victory. This was part of the initial objective, which the team had targeted for the Dakar 2012. The team was consistently fast with two riders regularly up front - even if the aim to put one pilot on the overall podium couldn't be fulfilled. The outstanding motivation of the team was tested with the jury decision against Paulo Goncalves. Also, Joan Barreda experienced bad luck during the stages three and four, when the talented Spaniard suffered from a crash and a broken rear wheel, which cost him a lot of valuable time. Barreda couldn´t make up the loss until the race end. By the way: Joan Barreda was by many considered the revelation of this year´s Dakar. He was matching the speed of the top riders and is regarded as a man of the future. The folks at Harley-Davidson have some new accessory parts for you - some Screamin’ Eagle Muffler Shields, Chisel Custom Wheels, and Edge Cut Fork Slider Covers. The new Screamin’ Eagle Muffler Shields – Brushed Nickel (Part Number 65400079) from Harley Davidson Genuine Motor Accessories are styled to complement the jet-black finish of Screamin’ Eagle Street Performance Mufflers. These formed-steel muffler shields feature a unique electroless nickel plating that provides a warm, brushed finish. The rear shield features a black-filled, deep-embossed “Screamin; Eagle” signature script. The easy-to-install kit includes front and rear shields and mounting hardware, and fits 2004 and later Sportster models and 2006 and later Dyna models with shorty dual exhaust. Pair the Brushed Nickel Muffler Shields with the Screamin’ Eagle Buckshot Exhaust Shield Kit – Brushed Nickel, which has a perforated design that exposes the head pipe. Manufactured to Original Equipment standards for an exacting fit, the easy-to-install kit includes front and rear head pipe shields and fits 2004 and later Sportster models and many 2006 and later Dyna models with shorty dual exhaust. See an authorized Harley-Davidson Retailer for fitment details. The new Chisel Custom Wheels from Harley-Davidson Genuine Motor Accessories feature seven narrow-profile split spokes that radiate from a minimalistic hub, and the resulting see-through effect visually lightens the profile of the motorcycle when paired with the pedestal-mounted Chisel Floating Brake Rotors. Offered in 17 inch front and 16-inch rear sizes for Harley-Davidson Touring models, the Chisel Wheels are available in mirror chrome (Part Number 43300057, front; Part Number 40900067, rear), or black-and-chrome contrast finish (Part Number 43300059, front; Part Number 40900069, rear). Chisel wheels fit 2009 and later Touring models (except Trike and 2012 CVOTM models). They require the separate purchase of Chisel Floating Brake Rotors, a model-specific Wheel Installation Kit, sprocket hardware, and brake rotor-specific hardware. See an authorized Harley-Davidson Retailer for fitment details. Chisel Floating Rotors are styled to complement the Chisel front wheel. The inner spider features a cutout design that mirrors the wheel’s seven distinctive open spokes. These rotors are available in two different finishes (Part Number 41500040, polished; Part Number 41500042, raw) and include chrome mounting hardware. The new one-piece Edge Cut Upper Fork Slider Covers (Part Number 45600006) from Harley-Davidson Genuine Motor Accessories are finished in a rich black powdercoat and machined to expose the raw aluminium casting. The resulting contrasting surfaces complement the Original Equipment satin-finished front end, or are a great compliment with accessory black fork sliders and other black front-end accessories. For a complete look, these covers can be paired with available Edge Cut wheels, controls, grips, mirrors, and saddlebag latches. These new Fork Slider Covers fit 1980 and later Harley-Davidson Touring and Trike models. KTM has now won the motorcycle division of the Dakar rally every year since 2001, with the exception of 2008 when it was canceled because of security threats. In the 2012 edition, eight of the top 10 finishers and 15 of the top 20 rode KTM machines underlining the dominance of the Austrian brand’s sports bikes. There's more than 4 million views of this drifting video featuring a couple of Triumph Speed Triples and a 550 hp Mustang Cobra "police" car. The guys at Icon seem to be having quite a bit of fun... until they roll the Mustang. Whoops! Okay - there's only about 10 seconds of bike in this video. Skip to 2:12 if you want a glimpse. Good thing Valentino and Nicky are fast on the bikes - might not want to rely on their acting! Bored with that desktop background on your computer? 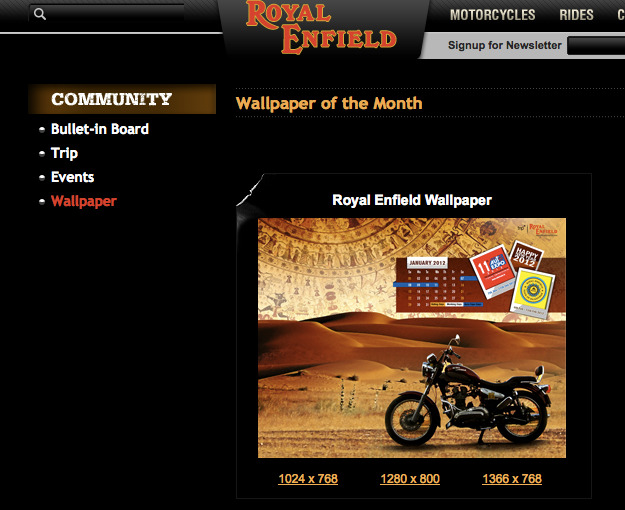 Royal Enfield might have something for you then. Each month they update a wallpaper gallery on their website. When's that Cafe Racer coming? Canadians may not get in those "riding days" indicated on the calendar in January but hey, it still looks good. The management team at Lehman Trikes have officially announced the passing of the company founder and director John Lehman. John passed away on Thursday, January 5, in Arizona. He was 60 years old. He is survived by his wife Linda, one son – Quinten, one daughter – Leann, three surviving sisters – Gladys, Linda, Carol, and three grandchildren. Suspected cause of death is a heart failure brought on by an embolism. John was one of the most recognized, admired and respected individuals in the motorcycling industry, and is generally considered the Father of the Modern Trike. In 2009 John was inducted into the Sturgis Motorcycle Museum Hall of Fame. In 1984, John’s passion for motorcycling and his love of family led him to create the first modern trike so his wife, Linda, could carry one of their children. John’s creation had more to do with family togetherness than a business venture. The vehicle garnered so much interest everywhere they traveled that Lehman Industries was born, and John Lehman would go on to become one of the most recognized names in motorcycling. Known for his caring and charitable nature, John along with Larry started a program called the “Good Turn Trike” which eventually became an annual event providing people with a passion for motorcycling, who face some of life’s greatest challenges, a trike – for free. John’s big heart helped raise money for terminally ill children, “Make A Wish Foundation”, “Kids n’ Chrome”, and many other worthwhile charities. He remained active in the company until his passing. Lehman Trikes, Inc. had recently announced a Letter of Intent from an investment group relating to the sale of Lehman Trikes USA, Inc. The passing of Mr. Lehman will not materially affect that endeavor. Deeley Harley-Davidson Canada is proud to announce the details of the new Harley-Davidson National Race Program for 2012, designed to build on the successful debut of the Canadian Harley-Davidson XR1200 Cup Series in 2011. When participating in the National Canadian Superbike Championship this year with the Harley‑Davidson XR1200 Cup Series, both spectators and racers will be able to experience motorcycle racing at its very finest. The Canadian Harley-Davidson XR1200 Cup Series is a spec-bike series featuring specially modified Harley‑Davidson XR1200 and XR1200X motorcycles. Vance & Hines will once again be the official kit supplier for the class. The special kit consists of a Vance & Hines exhaust system; a Fuelpak fuel management system; race bodywork including number plate, single-seat tail section, and belly pan; 17-inch front wheel with matching front fender; steering damper; oil cooler relocator; and race decal package. In addition to the Vance & Hines-supplied kit parts, racing teams will be able to upgrade their suspension, hand and foot controls, brake components, and instrumentation. These revisions to the program are outlined in detail in the 2012 CSBK rulebook (posted on www.csbk.ca). In addition to a formidable program that allows racers to pursue their passion in racing at a very affordable cost, attractive weekend purse payouts and a year-end points prize fund will be available to make the series an even sweeter deal. 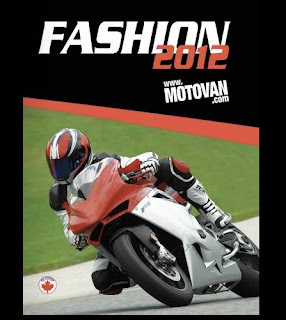 If racing is in your blood and your interest is sparked, then please refer to the 2012 program outline below and make sure to speak to your nearest authorized Canadian Harley-Davidson Retailer for information on how you too can secure your spot on the grid for a great racing season. With a total of 104,286 motorcycles (prev. yr. 98,047 / +6.4%) in 2011, BMW Motorrad delivered more vehicles than ever before in its nearly 90-year history. Growth was recorded in each month of 2011. In December, 4,232 Motorcycles were delivered worldwide, which reflects an increase of 12.4% over the same month in 2010. The total year’s result exceeds the previous high in 2007 by 1.8% (102,467). BMW Motorrad increased its market share by more than 12% in the segment above 500cc and has doubled it within the past four years. 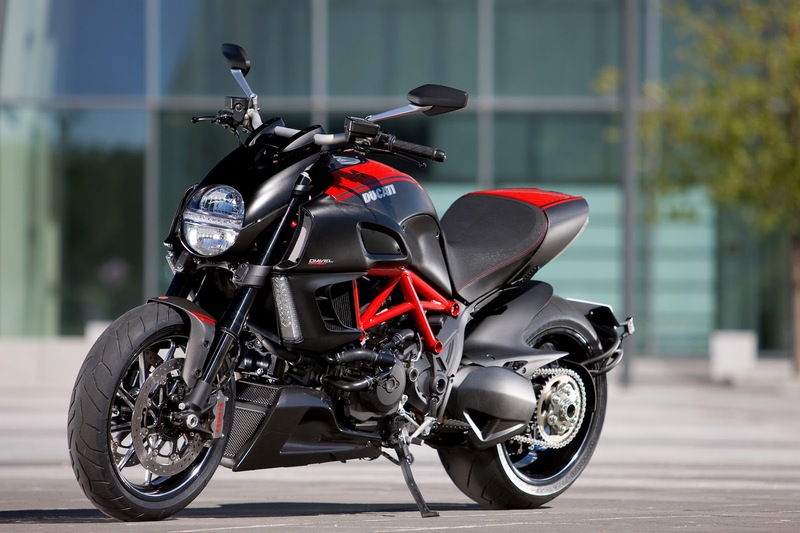 Husqvarna delivered 9,286 motorcycles in 2011 (-23%; prev. yr. 12,066). December accounted for 1,330 deliveries (-26.1%; 1,800). Dakar 2012 race officials have adjusted times for riders trapped in mud on Stage 8, one of which was KTM factory rider Cyril Despres. According to the adjusted times, KTM’s Marc Coma still wins the stage and leads the rally but he is now just one minute 26 seconds ahead of Despres in the overall standings. The two KTM riders have so far dominated the 2012 edition of the rally but the stage saw Despres and other riders bogged down in mud that had not been marked on the road book that guides riders. Cyril Despres, overall leader at the half way mark of the rally had to sacrifice around 12 minutes in his efforts to extract himself from the hazard, while teammate Marc Coma was not as badly affected. It was Coma’s twentieth Dakar Stage victory in his career and the fourth in the 2012 edition. Both he and Despres are vying for their fourth Dakar title. Speaking from the bivouac after the stage, Alex Doringer, Team Manager for the KTM Factory Team said that while KTM welcomed the race officials’ decision to compensate the riders and reinstate times, the company felt that Coma should have also had some time credited because he was also affected, if to a lesser degree than his teammate. “We welcome the fact that Cyril’s times have been reinstated, but we feel that if this decision was based on sporting fairness, then Marc’s time should also have been adjusted,” Doringer said. The mud had occurred in between the time that the official inspection of the stage had taken place and the actual start of the stage and this was the reason it was not marked on the road book. The eighth stage, the first after the one rest day at Copiapo in Chile included the longest timed special in the 2012 edition, taking riders 477 km. It was set between two liaison stretches that took them to 3,000 meters above sea level. Riders were on their bikes for a massive 722 km by the time they got to the finish at Antofagasta on the Chilean coast. In the day’s standings KTM factory rider Rubin Faria was second to Coma and after the time adjustment, Portugal’s Helder Rodrigues moved into third place. Cyril Despres ranked ninth but he and Coma still dominate the overall standings. Rodrigues is third overall but he trails the two KTM riders by some 49 minutes. LeoVince USA is expanding their Canadian product availability. It begins with their participation at the North American International Motorcycle Show at the Toronto International Centre Jan. 6, 7 and 8. International Centre. LeoVince products have already been available in Canada through a distributor but they're now going to offer their product directly through their US operations. Beginning Tuesday, Jan. 10, 2012 LeoVince USA is going to be selling and servicing Canada directly through leovinceusa.com and from its Richmond California headquarters to offer the most complete selection of their products that has ever been available to the Canadian market. Organizers have been forced to cancel Friday’s Stage Six of the Dakar 2012 because of bad weather conditions that made it unsafe for competitors to cross the Andes Cordillera at the highest point of this year’s edition. Chilean authorities closed the Paso de San Francisco, situated at 4700 m above sea level overnight because of snow and rain. This, together with the fact that the course has been generally hit by rain and snow mean that it is not possible to guarantee the safety of competitors and support personnel has resulted in the cancelation. Organizers instead will organize a convoy for all vehicles, which after the border crossing will follow the main road to Copiapo, Chile for the one rest day on Saturday. The results at the end of Stage Five (see below) now represent the standings at the half way mark of the 33rd edition. KTM’s two lead riders Cyril Despres and Marc Coma continued on their quest to dominate the Dakar 2012 on Thursday in a close-knit battle that saw Despres take the stage victory and consolidate his overall lead one day before the rally enters Chile. With five stages completed, four have gone to KTM, two to Despres and two to Coma who are both bidding for their fourth Dakar title. It was also Cyril’s 28th Dakar stage victory in his career. It was ‘welcome to the white sand dunes of Fiambalá’ for the riders after the liaison stretch of 151 km that started the day. The Fiambalá dunes have a fierce reputation for ruining chances of advancement in the world’s toughest rally and demand absolute concentration on the road book to ensure no costly navigational errors. Rivals and teammates: Coma opened the road as Stage Four winner but it was Despres who had the edge at the day’s first Way Point where he had already moved ahead by 58 seconds. Astonishingly the gap between the two KTM factory riders was identical as they passed Way Point Two and they had already begun to distance themselves from the rest of the field. Both riders, the world’s best contemporary rally raid exponents gave no ground as they attacked the stage. At the end of the 265 km timed special they were still only separated by one minute 41 seconds and Despres was almost 13 minutes ahead of the third rider to cross the finish line. As the race continues to shape up as a battle between these two KTM factory riders, they have already managed to distance themselves from the rest of the field in the overall standings. Despres is now 47 minutes ahead of third placed Helder Rodrigues of Portugal. Overall, it was a good stage for the Austrian brand with seven KTM riders in the top 10 finishers. Thursday’s stage was also a strong one for Despres’ support rider Rubin Faria of Portugal who finished seventh while Coma’s support rider Joan Pedrero of Spain was 13th across the line today. Pedrero is now overall eighth but Faria has incurred a 40-minute penalty and is further back in the field. It was also a strong day for KTM Enduro factory rider Johnny Aubert, experiencing his first Dakar Rally. Johnny is riding a series model KTM 450 rally bike, not a factory bike and his mission is to ride, learn, gather experience and have fun. But while Despres and Coma have a comfortable cushion at this point in the rally, both the three-times Dakar winners are acutely aware that it is not over until it is over. In past Dakar rallies both of these riders have had the soul-destroying experience of almost having victory in their grasp only to see it slip through their fingers in the final stages. So it will be with this in mind that tomorrow they will face abundant physical and mental challenges. Crossing the Andes by the El Paso de San Francisco pass will be a breath robbing experience as riders climb to an altitude of 4700 meters above sea level. With this behind them they will they will plunge down into the notorious Atacama Desert, the driest place on the planet and a virtual sea of sand. It will be a day when they will not only need superb riding skills, physical fitness and absolute mental concentration; they will also play the tactical game. The reward for surviving Stage 6 is the one rest day, the only brief respite on this tortuous 9000-km ride from the Atlantic coast at Mar Del Plata, Argentina to Lima, Peru on the Pacific coast. It is of course a rest day only in name. In reality the teams will have a full program to prepare riders and machines for the second half of the rally. Zero has announced the North American debut of its 2012 model line will take place at the New York International Motorcycle Show on January 20-22, 2012. Hitting dealer showrooms in February, Zero Motorcycles’ new lineup includes the world’s first production electric motorcycles capable of exceeding 100 miles on a single charge. Note for Canadian readers! : Zero motorcycles should be getting a 2012 model out to the 2012 Halifax International Motorcycle Show - taking place February 17-19. Freedom Cycles of Halifax has signed on to be an exclusive dealer in Nova Scotia and plans are to ensure the arrival of 2012 machines in time for the show! 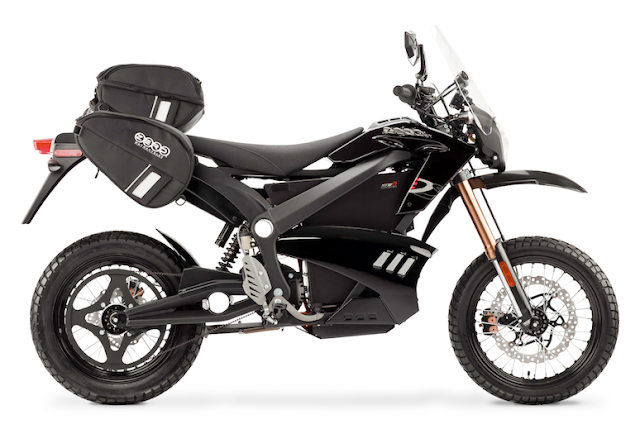 The all-new Zero S, a street fighter, and the Zero DS, a dual sport, are both available in a 6 or 9 kWh configuration. As measured by the EPA UDDS, the Zero S is capable of respectively achieving 76 or 114 miles per charge. Both motorcycles offer a higher top speed over the 2011 models, with the Zero DS hitting 80 mph and the Zero S reaching 88 mph. Both motorcycles offer a broad torque band and stealthy acceleration from 0 rpm that makes them incredibly fun to ride. In addition, all the street models, including the Zero XU, feature new brushless motors and regenerative braking that allow riders to recoup energy during deceleration. The Zero XU, a motorcycle designed for inner city riding, now uses the same maintenance-free belt drive system as the Zero S and Zero DS. Brushless air-cooled motors, life of motorcycle power packs and belt drive systems make Zero’s lineup of street model motorcycles just about the world’s easiest to own form of transportation. Following a navigation error yesterday, KTM factory rider Marc Coma rode with a passion in Stage Four to take his second stage victory in Dakar 2012 and claw back two minutes on overall leader and teammate Cyril Despres. Both riders are going for their fourth Dakar title. Coma of Spain went off at sixth from San Juan but early registered his intention to be the one to beat by being fastest at the first Way Point of the day. Despres, first off in the morning to open the road after yesterday’s stage win was in third place just 15 seconds behind. Then came the day’s biggest climb when the two riders turned their KTM 450 Rally bikes and charged up the mountain that took them to their highest point so far in this, the 33rd edition of the world’s most famous rally. It was still Coma with the advantage at the end of the climb that took them up to 3200 m. Despres who later admitted he had taken particular caution to avoid any costly mistakes had slipped to sixth and was two minutes 49 behind. Despres then went on the chase and had moved into second by Way Point three having halved the time deficit between him and the leader. The two KTM riders raced together for the rest of the day but it was Coma who crossed the line first to claim his second stage win in this edition. Despres finished just over two minutes later. The French rider is still ahead by 8 minutes 10 in the overall standings but Coma managed to make up a useful slice of the time he lost when he was forced to ride another 12 km following his navigational error in Stage Three. The stage is now set for a great battle now that the two KTM factory riders progressively distance themselves from the rest of the field. Marc Coma: “It was a very tough special, in particular at the beginning with the fast start. Then we had to focus on the navigation and tackle a lot of water in the rivers. I tried to ride at a very fast pace from the beginning, but it was difficult. I was able to overtake a few riders and make up some time on Cyril. Fiambala and many other stages still lie ahead. That is the way things are right now. And I keep on fighting every day." Cyril Despres: “It was difficult because the rainfall in the region these last few days furrowed the tracks and exposed big rocks. It is also very physically demanding in this heat and difficult to maintain a fast pace. So I am quite happy with my performance today. At the beginning I saw Marc surge ahead and I knew he would claw some time back, but I focused on the navigation to avoid making any mistakes.” Despres said he had paid particular close attention to the road book, which had almost 400 notes for Stage Four. After another hard day’s liaison of 424 km and 326 km of tough riding in the timed special, Despres and Coma are separated by eight minutes in the aggregate times. Third overall is currently French rider David Helder Rodrigues of Portugal who now trails Despres by 26 minutes 48. Coma and Despres have won three of the four stages so far but there are many potential pitfalls waiting for them on the rest of the journey to Lima, Peru when the rally finishes on January 15 after almost 9,000 km. Other action on Wednesday saw Coma’s support rider Joan Pedrero of Spain move up the order with a good ride to finish sixth in the stage results, 11.2 minutes behind the leader. He is currently eighth overall. Rubin Faria, the support rider for Cyril Despres has picked up a 40-minute penalty and finished Wednesday in nineteenth place. Johnny Aubert, KTM’s Enduro Factory rider and Dakar rookie was 27th today. He is riding a standard series KTM 450 rally bike and is on a mission to learn as much as possible about the world’s greatest rally. Great video featuring plenty of vintage BMW's and fantastic videography. The final words are in Italian but you don't need to be able to read them to appreciate this. If you like motorcycles - you can't help but love this video. KTM’s two triple Dakar Rally winners Marc Coma and Cyril Despres got down to serious business in Stage Two of the 33rd edition of the world’s most challenging rally with Coma notching his first stage victory for 2012 ahead of factory teammate Despres to take the lead in the overall standings. New Year’s Day 2012 and KTM’s Dakar riders opened their bid for the eleventh consecutive Dakar Rally victory for the Austrian sports motorcycle specialists. Starting their engines under picture book summer skies on Argentina’s eastern coast riders absolved a 57 km special just after the start followed by another 763 km hard ride liaison to Santa Rosa de la Pampa. While the timed stage, supported by thousands of Argentinean fans was more festive than challenging, riders were very much aware that this was a mere crumb in the torturous journey that takes them for the first time from the coast of the Atlantic to the coast of the Pacific to finish in the Peruvian capital Lima after nearly 9000 km. Dakar title-holder and KTM factory rider Marc Coma was in the best of form, finishing the special in second place just 14 seconds behind Chaleco Lopez of Chile. Cyril Despres, mainstay of the KTM Factory Team and like Coma, a three-times Dakar winner, took it easy in the warm-up and was 1:48 behind the leader in 13th place ahead of the long liaison into the interior of the country. The so-called ‘water carriers’, the riders whose job it is to support the two key factory riders also had a solid start. KTM’s Rubin Faria of Portugal, the support rider for Cyril Despres had a good opening session finishing 1:18 behind the leader in eighth place while Joan Pedrero, Marc Coma’s support rider was 2:24 behind in 18th place. KTM Enduro factory rider Johnny Aubert of France is making his first Dakar appearance riding the KTM 450 Rally bike and supported by the KTM Customer Service. With a mission to ‘learn and enjoy the Dakar experience’, Johnny finished 20th just 2:29 behind the leader. Felipe Zanol of Brazil, who finished a close second to Cyril Despres in this year’s Dos Sertoes Rally in Brazil was 26th and trails the leader by 3:15 minutes. New Zealander Chris Birch, who races in Extreme events for KTM, such as the Red Bull Romaniacs and the notorious Red Bull Hare Scramble at Erzberg, Austria is also tackling his first Dakar and was 5:51 behind the leader in 39th place. Moh Balooshi, KTM’s UAE rider and the first Arab to contest the bike category, ended the day trailing by 16 minutes 20 seconds and must now settle down to some steady riding to make up the deficit. With less than three minutes separating the first 20 riders it is clear that they get down to serious business in Stage Two. They leave Santa Rosa to tackle 300 km of timed special that starts on firm terrain and ends in dangerously tricky soft sand. As they get closer to their destination at San Rafael they will encounter the grey volcanic sand that slows down their bikes and requires absolute concentration and physical effort from the riders.